Gartner has released its 2012 Magic Quadrant for Application Performance Monitoring (APM) report, highlighting growth in APM spending and a rapidly evolving market. This year's report evaluated vendors according to Gartner's five dimensions for APM and added the requirement that APM vendors include Java and .NET code instrumentation in their solution which requires agents. Despite our categorization as an APM Innovator in Gartner's December 2011 report, "APM Innovators: Driving APM Technology and Delivery Evolution," the requirement for code instrumentation makes ExtraHop Networks ineligible for inclusion in the Gartner Magic Quadrant for APM because we don't use agents or probes. And while ExtraHop values market research from Gartner, especially the high-profile coverage of the Magic Quadrant report, we would not ask our customers to install software agents on application servers. That's because doing so would violate several of the core tenets of what we believe should characterize next-generation application performance monitoring or Agile APM. Working from an IT Operations-Centric Definition of "Application"
Gartner defines an application as a set of software algorithms, reflecting the heritage of the Magic Quadrant for APM. Prior to 2012, many of the same agent-based APM vendors that show up today in the Magic Quadrant for APM were evaluated in the Magic Quadrant for J2EE Application Server Management. Agent-based products provide valuable insight into the performance of application or business logic, especially in pre-production and QA. 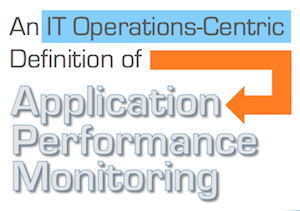 These capabilities are what lie behind the traditional view of application performance management. ExtraHop's definition of an application is more than just the software code or application logic—it is the entire application delivery chain, application system, or application environment comprising the network, web, middleware, database, and storage tiers, as well as ancillary network-bound services such as directory services and DNS. We believe this second definition more accurately fits the outlook of IT Operations teams responsible for the availability, responsiveness, and efficiency of numerous applications in production environments. Based on this IT Operations-centric definition of an application, ExtraHop built an elegant new network-based APM solution that uses a top-down approach to application monitoring and is more suited to handle growing complexity and scale in application environments. The ExtraHop system enables IT Operations team to "see IT run" with real-time, adaptive, and transaction-level analysis into the performance of all the tiers of the all applications in production. The ExtraHop system also provides value in preproduction and QA situations, as shown in our Axstores case study, but where the solution really excels is in production. Importantly, this network-based approach enables IT organizations—for the first time—to effectively monitor all of their applications, all the time, in real time. "Even if these premises are accepted in full, it is still not advisable to try to deploy all five dimensions of APM across the entire application portfolio. Given the cost and complexity of APM technologies, an enterprise should first focus on, at most, the top 10 most business-critical applications for those, concentrating initially on end-user experience monitoring. Once that is mastered, other dimensions may be taken up. Finally, once a state of familiarity with APM has been obtained, the enterprise can contemplate extending end-user experience monitoring and application performance analytics to the top 40 or 50 most business-critical applications. It is unlikely that further expansion, either in terms of functional dimension or portfolio coverage, will deliver a positive ROI." Simple deployment model. The ExtraHop system is an all-in-one network appliance with a simple deployment model that belies its extensive functionality (such as the customized analysis possible with Application Inspection Triggers). The ExtraHop system automatically discovers and classifies devices, delivering valuable transaction metrics within 15 minutes of installation and dynamically adjusting to changing application environments. In contrast, agent-based tools require careful configuration before they can be deployed in production, professional services for installation and maintenance, and additional hardware for management servers and databases. Few organizational obstacles. While the passive, all-in-one ExtraHop system requires only a port mirror or network tap, installing agents on application servers requires IT teams to navigate organizational obstacles as the users of the APM tools may need to obtain permission of their colleagues, management, or third-parties who are responsible for running the infrastructure. Non-intrusive data gathering. The ExtraHop system analyzes a copy of network traffic at wire speeds to extract real-time metrics and imposes no system overhead. Agents, on the other hand, impose system overhead and use invasive techniques that can threaten the stability of the applications they are supposed to monitor. While three percent CPU overhead may have been acceptable in the past when applications had dedicated physical infrastructure with relatively low utilization, now that applications increasingly run on virtualized infrastructure with utilization rates as high as 70 percent, this overhead carries serious potential consequences. In these situations, additional CPU load translates directly into higher server costs, as there is less headroom to absorb the additional load. Broad application support. The ExtraHop system supports all applications that communicate over TCP/IP, including custom-developed applications. Unlike agent-based APM tools that provide Java and .NET instrumentation, the ExtraHop system monitors the performance of off-the-shelf, packaged applications that are critical to business operations, such as Microsoft Exchange, Microsoft SharePoint, SAP, and Oracle enterprise software. Information suited to IT Operations. As noted earlier, deep-dive code diagnostics are very useful for development and QA, but require extensive configuration to provide the context that IT Operations teams need to solve problems quickly. Built specifically to monitor application performance in production environments, the top-down visibility available in the ExtraHop system is a much better starting point for IT Operations teams and provides valuable information for a wide range of personnel, not just the application team with intimate knowledge of the code. 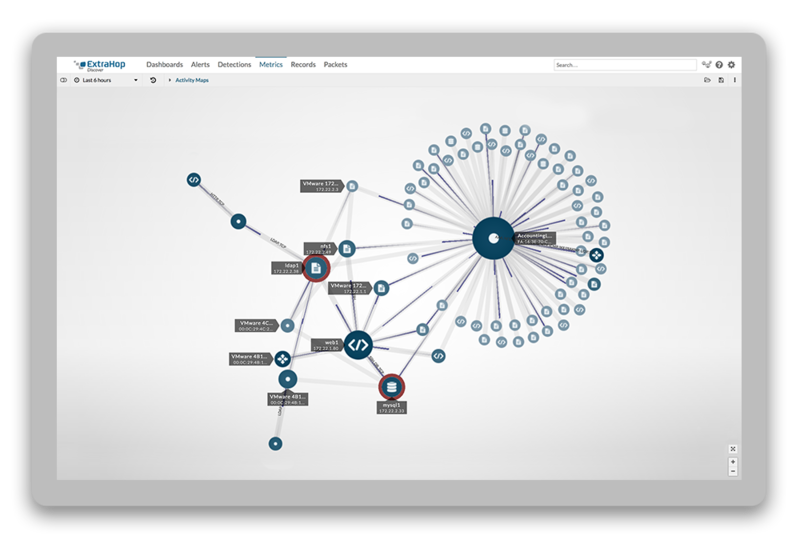 IT Operations teams that need to extend APM capabilities to cover their entire application portfolio should take a look at the ExtraHop system. We'd love the opportunity to prove our claims in a proof-of-concept. If you take us up on this offer, expect a fast and easy deployment with none of the configuration hassles associated with other APM products. In addition, we'll provide a free customized application performance assessment of business-critical applications in your environment. This is a $30,000 value, and something that other vendors will happily sell you for that price. For further discussion of why most IT organizations only monitor approximately five percent of their application portfolio, we recommend this post from Bernd Harzog of The Virtualization Practice: Why Is Application Performance Management So Screwed Up? For information on how ExtraHop measures up against Gartner's five functional dimensions of APM, read our post, Gartner's 2011 Magic Quadrant for Application Performance Monitoring (APM) and the Five Functional Dimensions of APM. *Gartner, Inc., Magic Quadrant for Application Performance Monitoring, Will Cappelli, Jonah Kowall, August 16, 2012. The Magic Quadrant is copyrighted 2012 by Gartner, Inc. and is reused with permission. The Magic Quadrant is a graphical representation of a marketplace at and for a specific time period. It depicts Gartner's analysis of how certain vendors measure against criteria for that marketplace, as defined by Gartner. Gartner does not endorse any vendor, product or service depicted in the Magic Quadrant, and does not advise technology users to select only those vendors placed in the "Leaders" quadrant. The Magic Quadrant is intended solely as a research tool, and is not meant to be a specific guide to action. Gartner disclaims all warranties, express or implied, with respect to this research, including any warranties of merchantability or fitness for a particular purpose.